Louisville battled through injuries last season and looked good going into the NCAA Tournament, but after a shocking loss to Kenneth Faried and Morehead State had me scratching my head. But Louisville comes back looking strong in 2011-2012. Peyton Siva showed that he can be a dynamic point guard in the Big East and I believe he will have a breakout season. 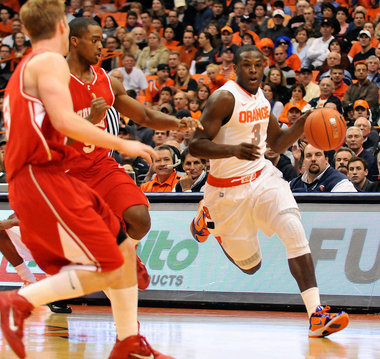 Jared Swoopshire should be coming back after a missing all of last season with an injury. Louisville also has a great core of guards: Siva, Chris Smith, and Kyle Kuric. The backcourt is the strength with an undersized frontcourt. 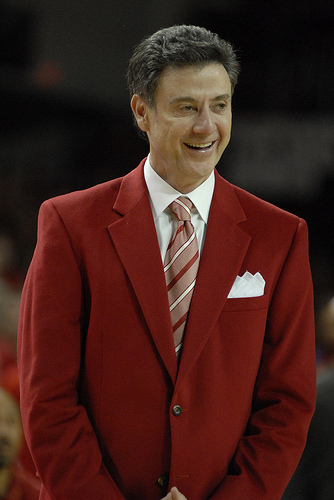 Even if Cardinals have a so-so year, it’s okay because Rick Pitino has set the foundation for the future. Louisville had the 8th incoming freshman class according to ESPN. Forwards Chane Behanan and Wayne Blackshear look to make immediate impact this season. when he ran the Boston Celtics into the ground. But to me it appears Pitino is just waiting to make that jump to the studio. Even after a stunning first round exit last season, Pitino had no problem providing analysis throughout the rest of the tournament. Is Pitino more focused his team or his future career? ESPN, CBS Rick Pitino is walking through that door.